Multiple Teams · Nov 29 LHS To Recognize Former Basketball Players Dec. 9th. Multiple Teams · Nov 14 LHS Boys Basketball To host Toy Drive Nov. 23rd. LHS BASKETBALL TOY DRIVE Wed., November 23, 2016 Collecting toys during the 6:00 p.m. JV and 7:30 p.m. 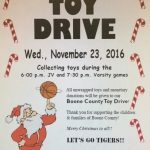 Varsity games All unwrapped toys and monetary donations will be given to our Boone County Toy Drive! Thank you for supporting the children & families of Boone County! Merry Christmas to all!! Let’s Go Tigers!! 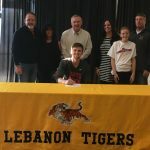 Lebanon Senior Trevor Lakes signed to attend and play Basketball next year at Maryville University. Maryville University is located in St. Louis Missouri and is a member of the NCAA Division II and the Great Lakes Valley Conference. Congratulations Trevor! Multiple Teams · Sep 17 Rain Can’t Stop the Boys Basketball Team from Participating in Lebanon Cleanest City Project! 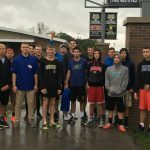 Thanks to the Boys Basketball members for showing up in the rain Saturday to clean up the stadium after Friday Nights Homecoming Football game. Tremendous dedication, commitment and outstanding effort. TIGER PRIDE!